I wrote this article previously on BGLH but reader Ramona asked about it so here it is again! We are talking about using either black tea or green tea as a rinse on hair and whether there is any scientific benefit. Well, here is my research on what tea contains and why it could be useful! Theanine is an amino acid that is unique to tea. A recent study showed that a purified extract of this amino acid could penetrate fully through to the hair cortex of bleach-damaged hair after a 10 minute soak at 30°C (Surface and Interface Analysis, pp 562-565, 2010). The study was designed to complement a previous investigation that related theanine to improving the mechanical strength of bleached hair. Even if your hair is not bleached, it is possible to accumulate damage to the cuticle due to styling and combing as well as normal weathering. A tea rinse could be considered as a very mild protein treatment. Green tea is currently being studied as a possible candidate for treating hair loss. It is preferred over black tea as the roasting of tea to create black tea oxidises the polyphenols. Tests so far have been performed on rats as well as human hair in a petri-dish (not on actual people) with similar results. The polyphenols are seen to stimulate re-growth of hair (J Natl Med Assoc, pp 1164-1169, 2005; Phytomedicine, pp 551-555,2007). If you therefore have problem spots e.g at the temples, or are experiencing hair loss, then a tea rinse may be worth a trial. Did you know your hair follicles can take up several drugs and caffeine is one of them? Studies done once more on human hair in a petri-dish showed that the hair follicles do rapidly take up caffeine and this stimulates hair regrowth for hair previously showing signs of hair loss. (International Journal of Dermatology, pg 27-35, 2007). The pH of tea actually depends on how it is brewed as well as the water used to brew the tea. 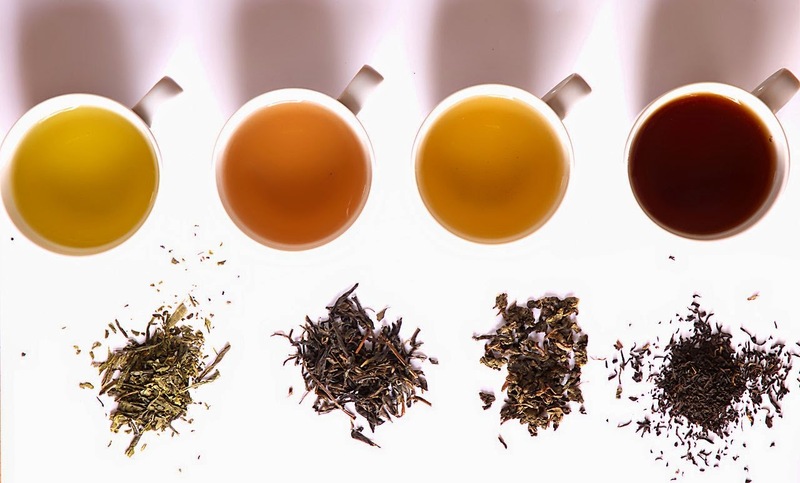 In general, figures of between pH 5 and 7 are generally quoted for both green and black tea. For hair this means that the final tea rinse will be just slightly acidic to neutral. This pH tends not to irritate the skin or disturb the hair cuticle. Naturally, you should not add a squeeze of lemon or orange to fragrance the tea unless you do actually want a more acidic brew. So are you going to be brewing a pot of tea? Very informative! Will chamomile tea work also? I don't know, I will place it on my to do list. I looked specifically at green and black tea as those were the popular ones. Hi JC, How and when during washing do you suggest tea rinse should be done. I'm struggling with a lot of shedding!! Wow this is super interesting. I've never considered tea rinses. Do you know how frequently they should be done to be effective? The study was done on mice in the lab so there is no way to make human references from that properly. It was however daily use for 6 months for a noticeable difference. I'm going to do this next time I wash my hair. I've heard before that black tea especially can help with shedding. It is definitely worth a go! Thank you for sharing! Interesting article as last month decided that will buy Rooibos tea to rinse my hair and has galore benefits!